How To Choose The Right ZTR! Do you really need a zero-turn mower? 1. How To Pick The Best Tractor!! 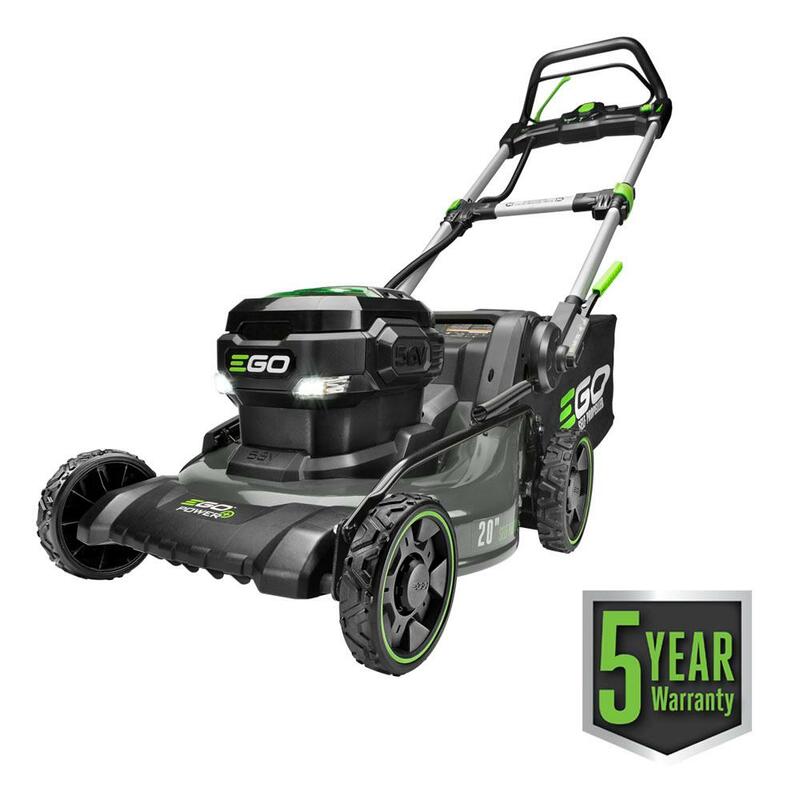 2109 is a great year for cordless battery operated mowers. 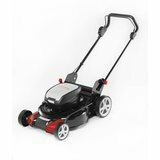 They have dramatically improved in the last three years and are quickly becoming the preferred choice over gas for mowing your suburban yard. Steel Decks with washout ports, variable speed self-propelled and torque sensing brushless motors. Some brands are even using professional grade batteries that are good for over 1200 charge/discharge cycles. Even better the major brands have developed complete tools systems for your lawn & garden needs that all use the same battery. 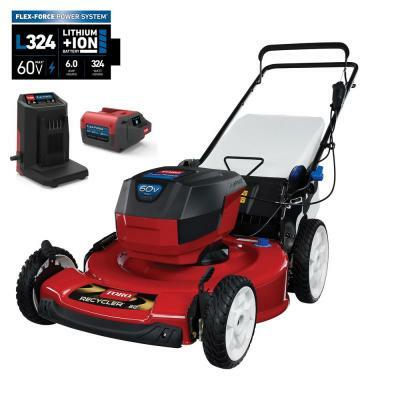 With Ryobi Introducing the 42-inch Battery Zero-Turn and Toro introducing the Toro 60 volt Personal Pace Mower (see below) we now have complete battery systems for our yardwork that competes with any gas-powered lawn equipment on 2 acres or less suburban lawns. 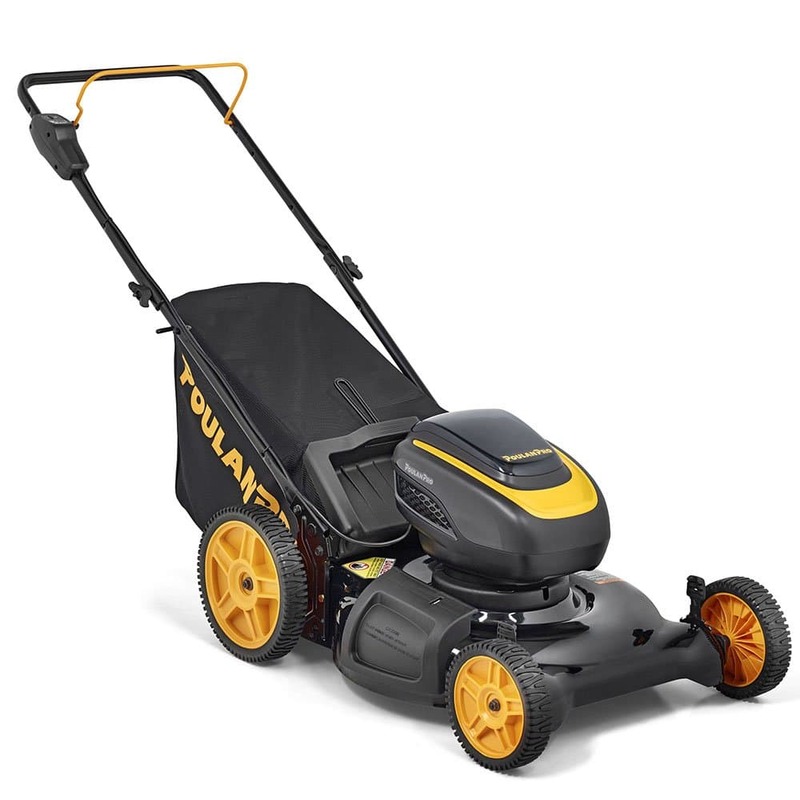 This article is going to review the best battery operated mowers for 2019. 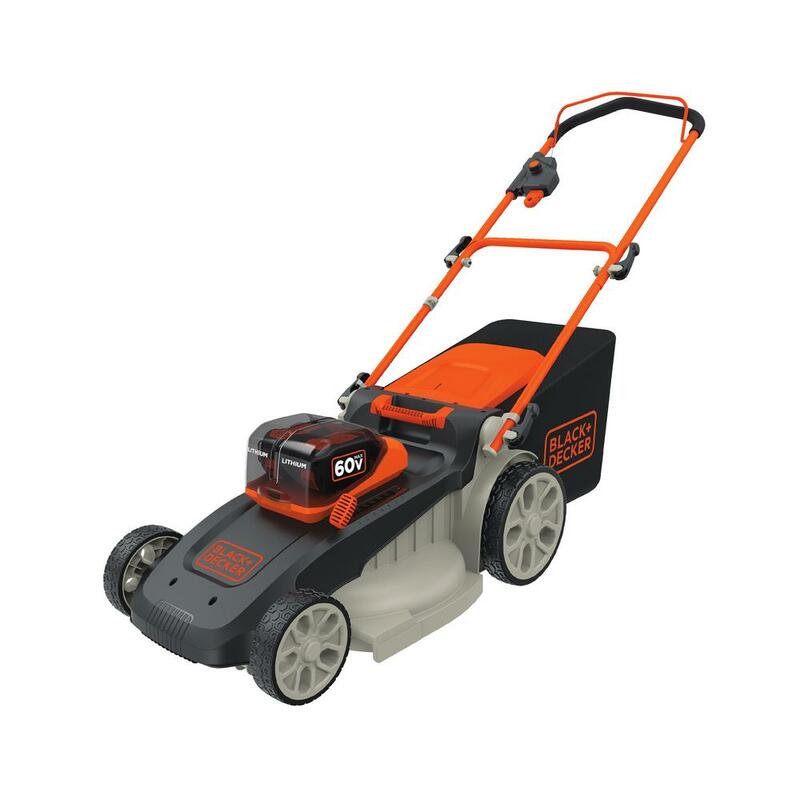 I’ll also include if the same battery used with the mower will also power good string trimmers and other yard tools. The information is taken from my own actual experience, user reviews, and from actual testing done by myself, by other websites and YouTube videos. This list will include mowers sold at retailers I trust and also mowers only available at authorized dealers. The market (manufacturers or the government) has yet to establish a standard way to list the performance of a battery. Because of that manufacturers are free to list whatever they want so you will believe their product is the best. Let’s uncomplicate the mess. Higher voltage labeled on the hood of the mower does not mean it’s a better mower and will cut better! Higher Amps listed on the battery does not always mean longer runtimes. The Wh number in small print on the battery label is the best way but that’s not always accurate either. Simply put – more watt-hours (Wh) = more “fuel” and longer run times. That can be hard to figure out without a little education. Please read the next few paragraphs to get yourself up to speed. There are three metrics you need to know about to make an accurate decision on which battery is the best for you. Volts, Amp-hours, and Watt-hours. Note: I’m going to use working voltage and listed Amp-hours (Ah) to determine Watt-hours (Wh). If you don’t want to read this long explanation and already understand batteries feel free to skip to the next section. I’ll calculate Watt-hours for each mower battery. Higher voltage does not mean a better product! All the brands use amp-hours (Ah) consistently but many have decided to list a voltage in big bold letters on the battery instead of Ah. The marketing department wants you to think that voltage is the measure of their batteries’ performance. 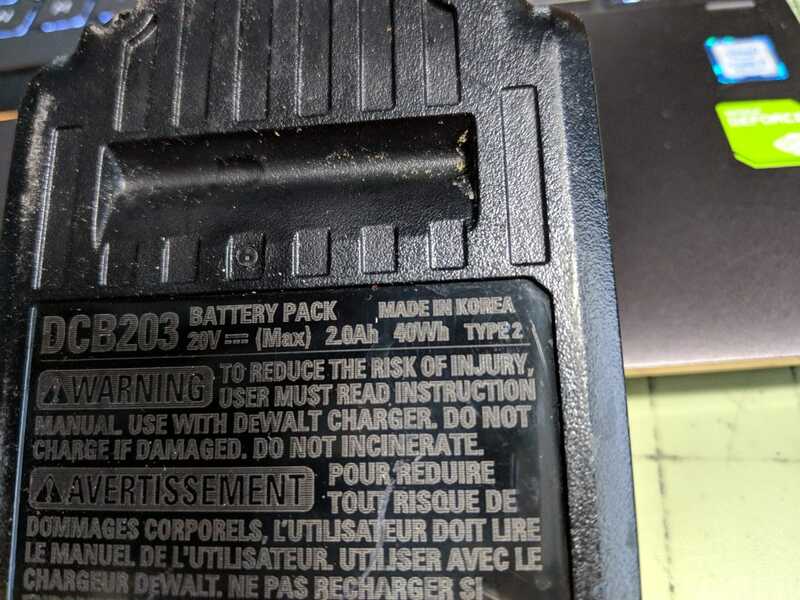 But, some list voltage when the battery is fully charged, others list the battery voltage when the battery is being used, and a few just pull a number out of a hat. In reality, just listing the voltage is meaningless. You need more information to make an accurate comparison. Fortunately for you and I, Lithium-ion cells operate a certain way. Lithium-ion batteries have more voltage when they are fully charged than they do when they are being used. Each individual cell in these multi-cell batteries has about 4 volts fully charged, 3.6 volts when you are using it and 3.2 volts when fully discharged. Your battery is made up of groups of these individual cells so a 40volt MAX battery will have 10 cells or a 60volt MAX battery will have 15 cells, etc. So how do you tell which battery is the best? The most meaningful metric is watt (W), which is calculated as voltage (V) multiplied by the current in amperes (A): W = V x A. This combination of voltage and current, rather than a single metric alone, is a constant value that you can use to determine in the power of a cordless mower battery. 80 Volt Max is the same as 72 Volt. Working voltage is actually 72 volts. So a 3Ah battery gives you 216 Wh of power. 60 Volt Max is the same as 56 Volt. Working voltage is actually 54 volts. So a 4Ah battery gives you 224 Wh of power. 40 Volt Max is the same as 36 Volt. Working voltage is actually 36 volts. So a 6Ah battery gives you 216 Wh of power. 20 Volt Max is the same as 18 Volt. Working voltage is actually 18 volts. So a 12Ah battery gives you 216 Wh of power. Four different batteries with different voltages and amps but with everything else being equal they will all mow the same amount of lawn. So, to help you out I’ll use working voltage and listed Amp-hours (Ah) to calculate Watt-hours (Wh) for each mower battery. A couple more things to know. 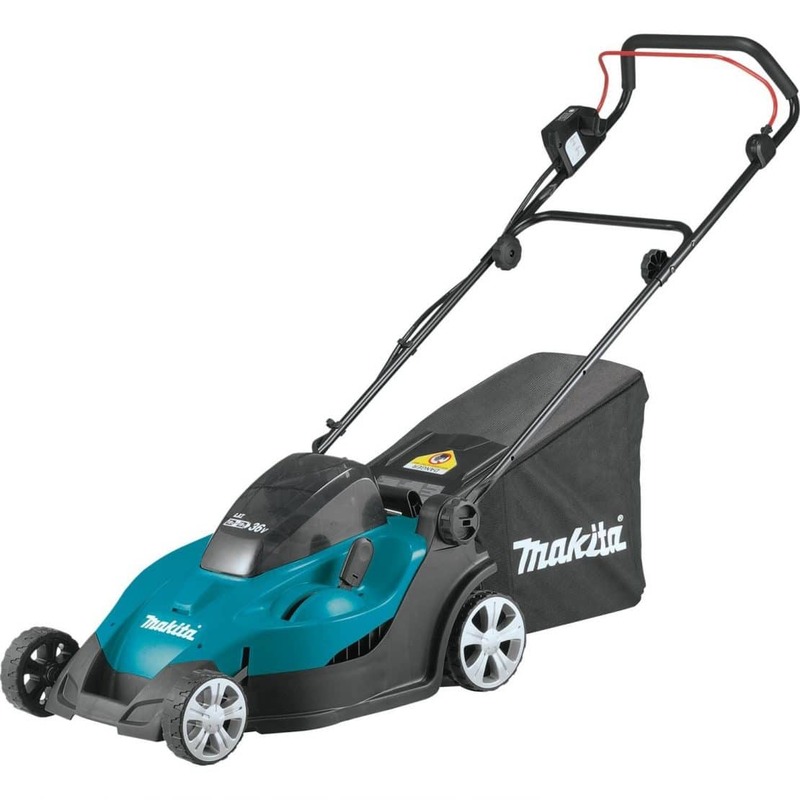 About 280-325 Wh (Watt-hours) is enough battery capacity to mow about a 1/3 acre. About 405 Wh will mow your 1/2 acre lot with a house on it. If you want to mow more than that at one time you can purchase additional batteries (or buy them bundled with other tools.) Most – but not all of the mowers include a rapid charger that will charge a battery in about an hour. 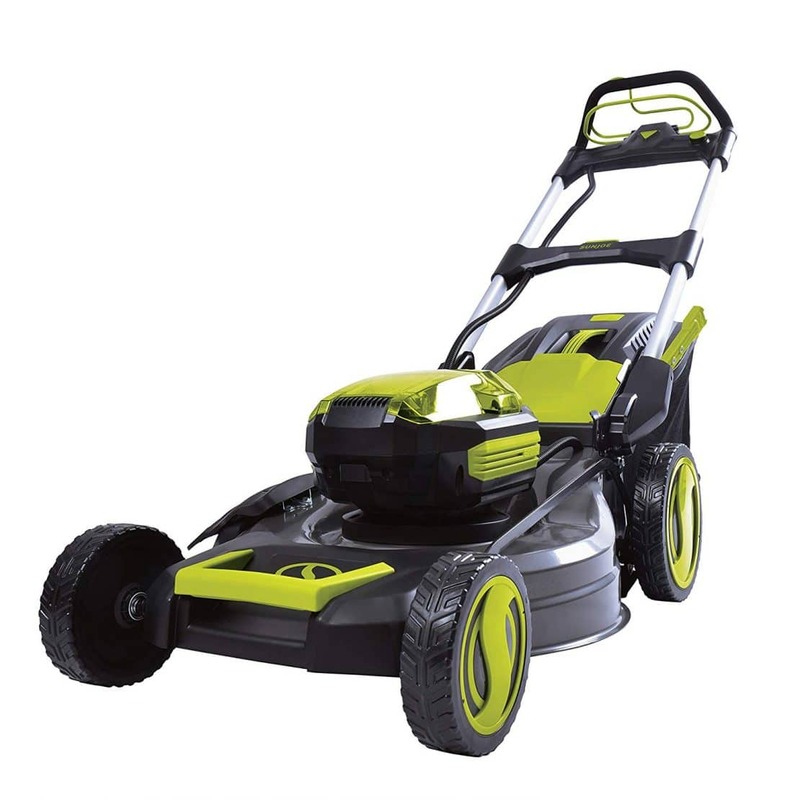 So, 2-3 batteries will let you mow all day. Larger rear wheels make the mower easier to use. 9-11 inch is a good size. A Brushless Motor gives you the best run time, the most power and last ten times longer than a brushed motor. Most cordless mowers with the plastic deck will not allow you to use a garden hose to clean it. Many cordless mowers with a steel deck will let you use a garden hose and some even have a washout port. Many of these mowers are part of a system where you can use the same battery for string trimmers, leaf blowers, etc. And not just residential. A few of these mowers are part of a battery system that is designed for commercial use. 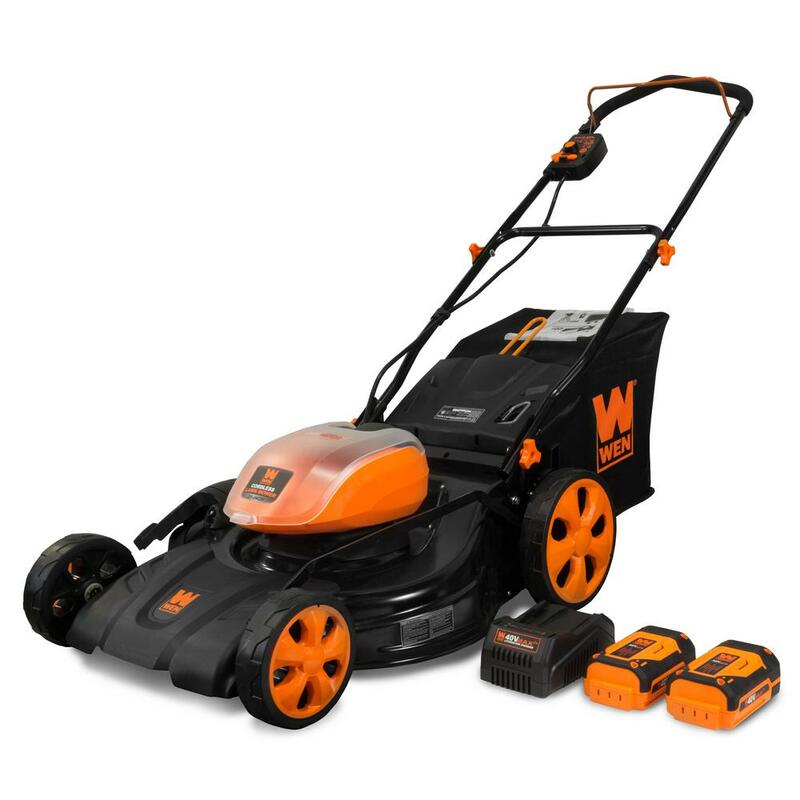 The first 6 mower brands are my top picks. Please note! **This post contains affiliate links and I will be compensated if you make a purchase after clicking on my links. But, please feel free to visit your local authorized dealer and purchase locally. I don’t make a commission when you do that but I don’t mind. My Choice! 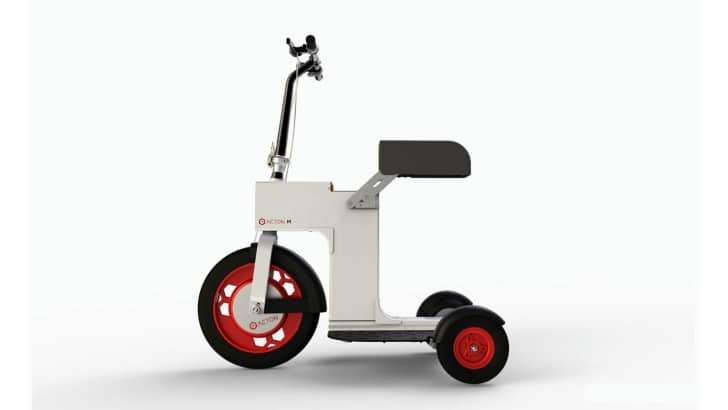 Self-Propelled: 22-inch Personal Pace Recycler Deck with 7.5 AH battery. Buy at The Home Depot. Good for homeowners with up to 1/2 acre lots. If you think you may want the new Toro snow thrower later this year this is the best choice. 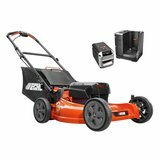 Buy this mower and buy the bare-tool snow thrower this fall. The 7.5 AH battery costs $100 more than the 6.0 AH but it will give you 33% more runtime in the snow thrower. Self-Propelled: 22-inch Personal Pace Recycler Deck with 6.0 AH battery. Buy at The Home Depot. Good for homeowners with 1/3 acre lots. CUTTING HEIGHT 1 in. – 4 in. The battery can be used in other homeowner and professional cordless tools. Toro has taken the proven #1 selling mower platform, added the latest brushless motor tech, and the best Lithium-ion battery tech and made a mower that cuts better, bags better, mulches better, and stores in your garage better than any other cordless walk-behind mower. Full 22-inch cut steel deck! I know from experience that most of you will buy a 22-inch mower over a smaller one if given the chance. This mower’s actual cutting width is a full 2 inches wider than the nearest competitor’s steel deck cordless mower. Proven Toro Recycler Deck. The Recycler cutting system mulches the best and provides a healthier, better-looking lawn. Brushless DC motor. Provides more power, more runtime, and longer life. Battery options for 1/3 and 1/2 acre lots! If your home sits on a 1/3 or 1/2 acre lot 6.0 AH and 7.5 AH battery options are available. Personal Pace. The Personal Pace self-propel is the easiest to use, most reliable system in the industry. Simply stand behind the mower, grab the handle and begin walking – the Personal Pace automatically adjusts to the speed you want to walk. The Personal Pace is rear-wheel drive so you get the best traction on slopes. Don’t want Personal Pace? 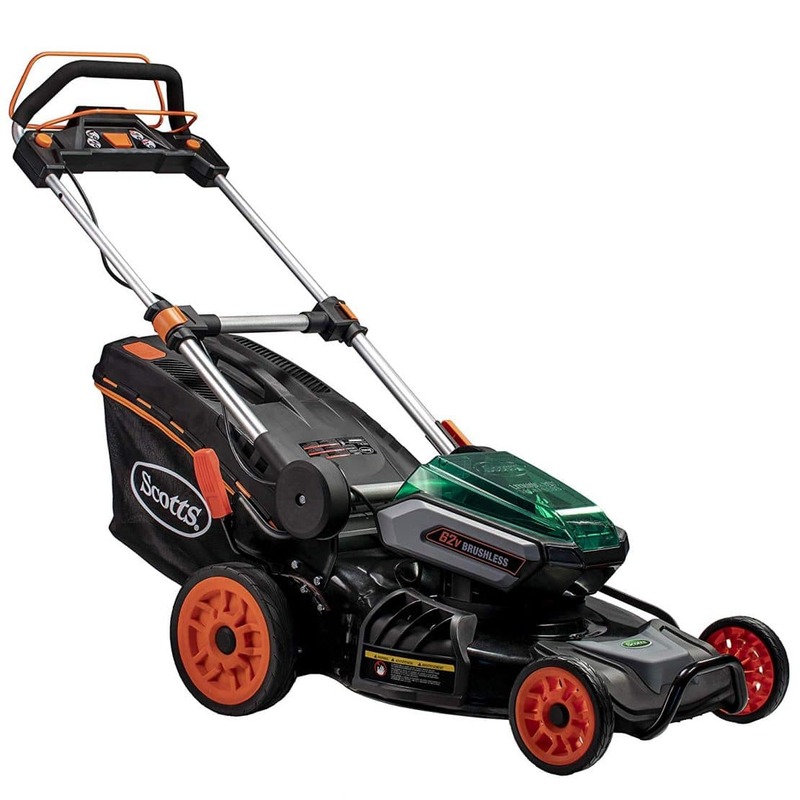 A Push style mower is also available. Smart Stow. Save Storage Space in your garage or shed. Simply fold, lock and store upright and save up to 70% over your old gas walk-behind. Bag on Demand. Like all the other Toro Recycler mowers you can easily switch to bagging if needed or bag all the time if preferred. Parts already listed on Toro.com. Buy parts online through Toro.com or at your local Toro Dealer! Economical! 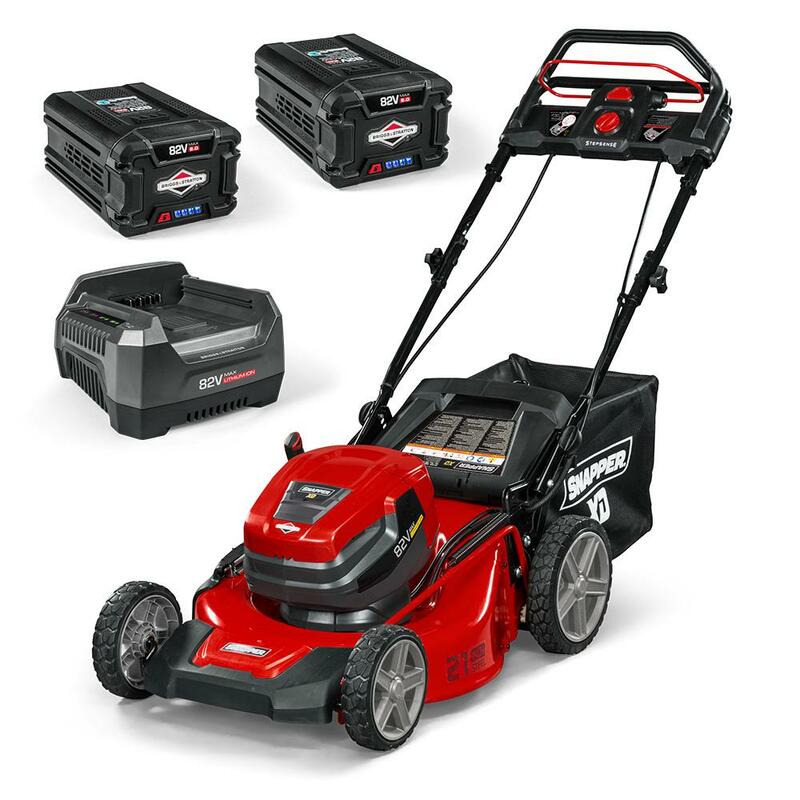 Buy your mower with a 6.AH or 7.5AH battery and use the battery this winter in the new Toro snow thrower! 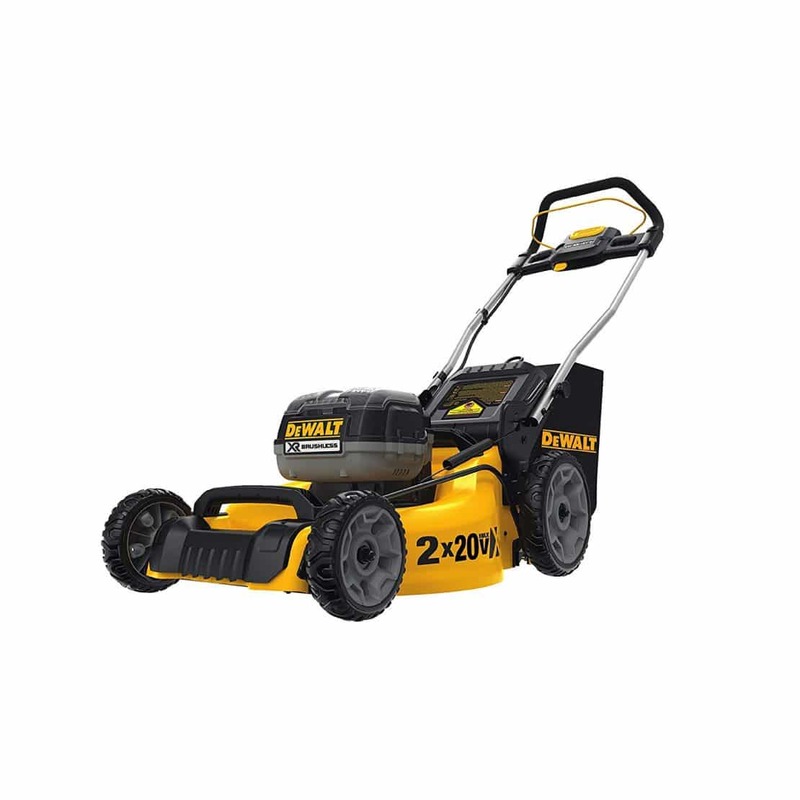 Mowers come with two 36 volt (36-volt working) BLi20 4.0 Ah Batteries. 144Wh each for total 288Wh. Push: HUSQVARNA LE121P Buy at Amazon. CUTTING HEIGHT 3/4 in. – 3 in. Runs on one battery but has a compartment for two. Both compartments are powered. 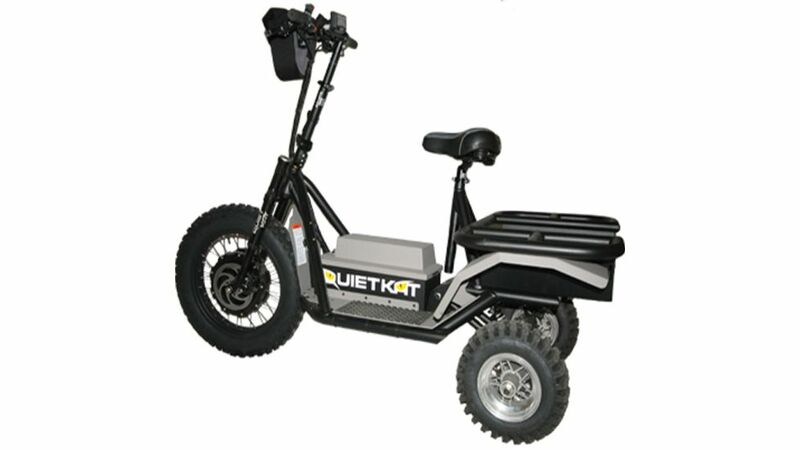 Mowers come with one 56V (54-volt working) 5.0Ah 270Wh, two 5.0Ah 540Wh or one 7.5Ah 405 Wh Batteries. CUTTING HEIGHT 1 3/8 in. – 3 3/4 in. The battery can be used in other EGO branded homeowner cordless tools. I’m very excited about the new Snapper 82V system because they have some unique products in the line that also uses the battery. Besides the mowers, string trimmer and leaf blower they also have a hedge trimmer, snow shovel, combination sticks tools and a unique Self-Propelled Utility Cart. I want the cart! Snapper 82V system here at The Home Depot and Amazon. One of the better features of the 82V line is the mowers come with quick chargers. 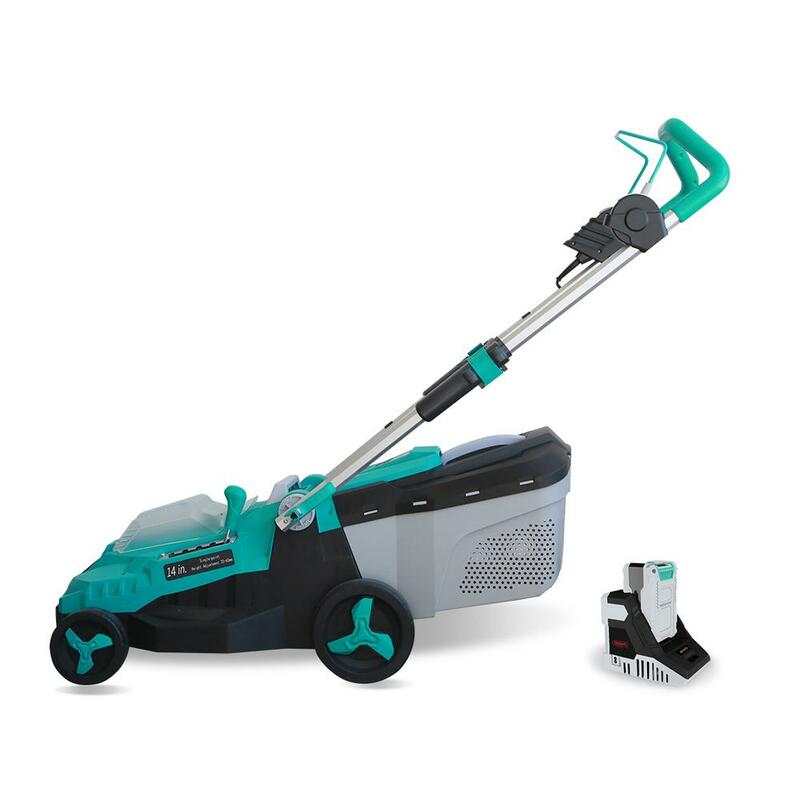 The batteries charge in one hour so you can easily mow as much as you like without running out of battery and waiting hours for them to recharge. Note: Snapper also has a 48-volt line. 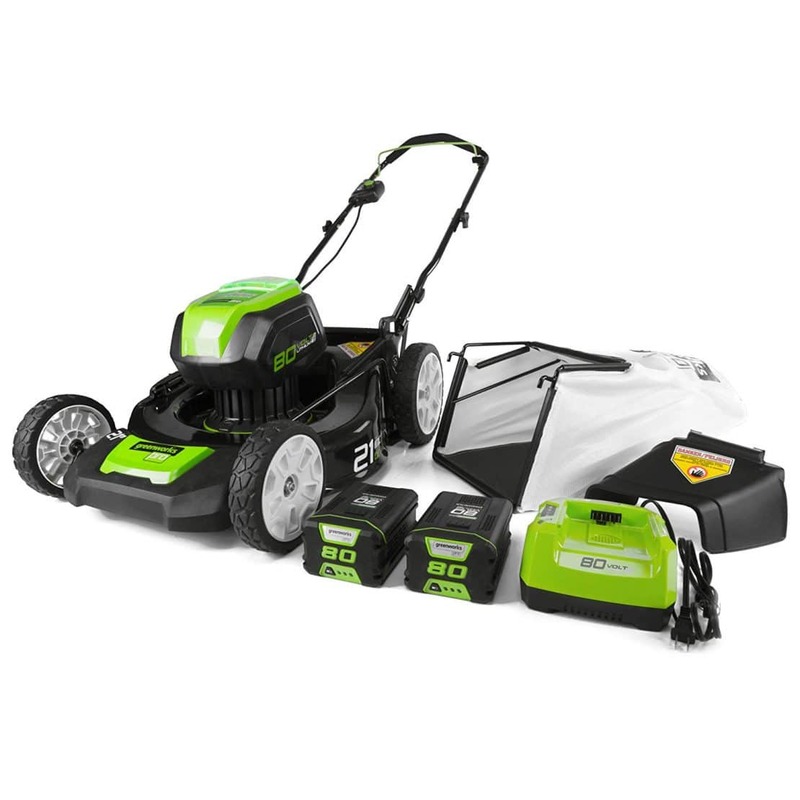 The 48-volt line only includes a push mower, self-propelled mower, string, trimmer, and leaf blower. I’m not going to cover it here. 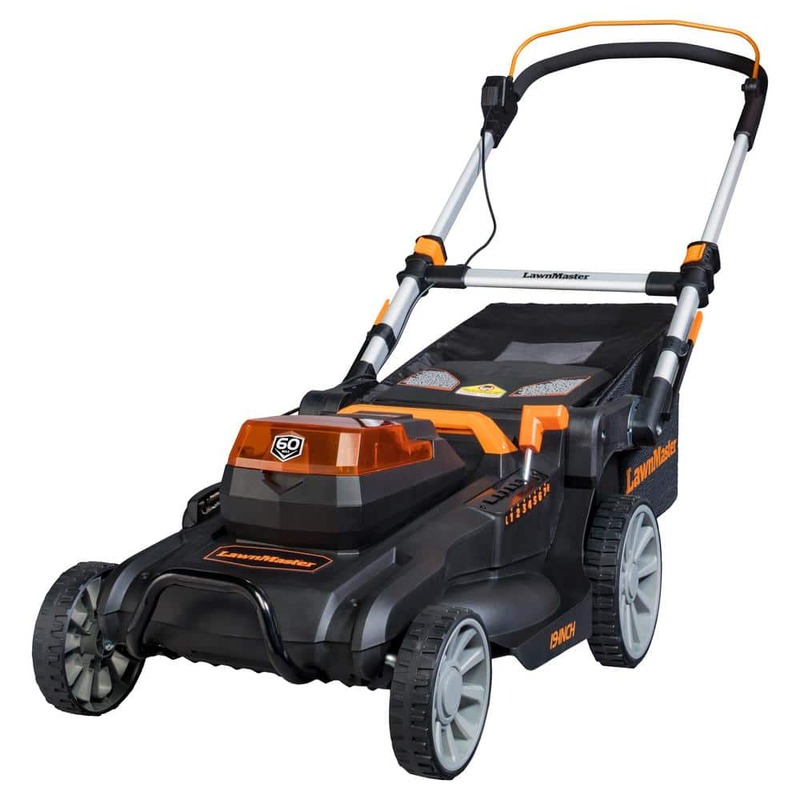 Mowers come with one 40-volt (36-volt working) 5.0Ah (180Wh), two 5.0Ah (360Wh), or one 6.0Ah (216Wh). Ryobi makes both push and self-propelled models. 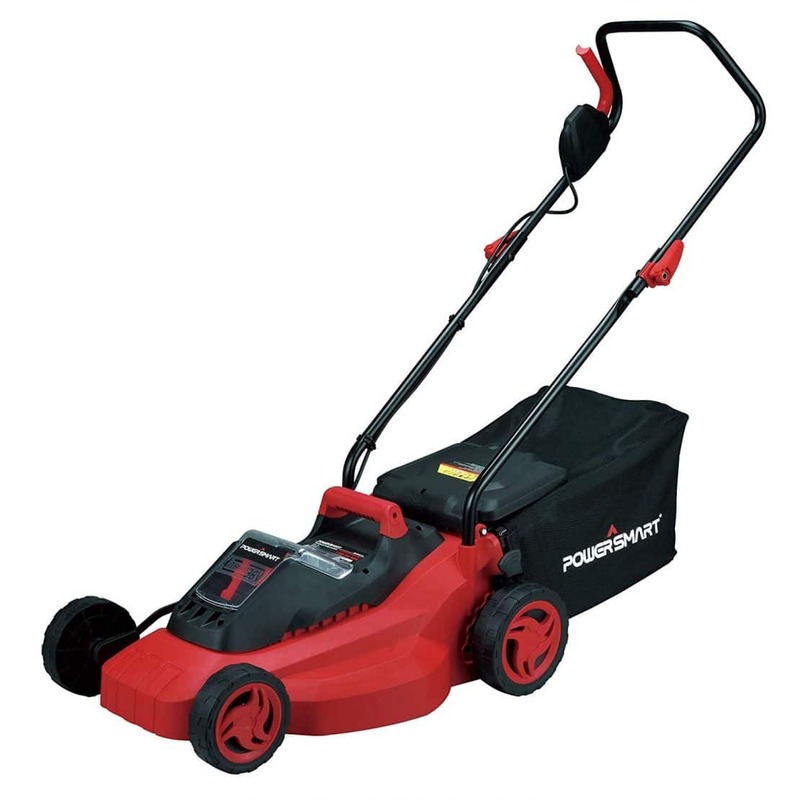 These mowers are part of a very extensive line of 40-volt outdoor cordless tools. (Shop the collection) The new 20-inch poly deck and 21-inch steel deck are quite a step up from their previous models. For 2019 they have introduced “Smart Trek.” It’s a drive system for the self-propelled mowers that sense how fast you want to walk and automatically keeps the mower moving in front of you. 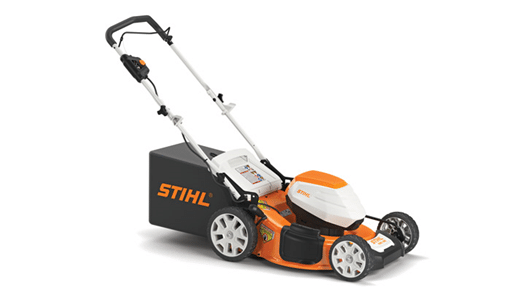 If you need a professional string trimmer, a professional leaf blower or already have Stihl batteries the Stihl RMA 510 is the perfect compliment to the batteries you already have. The battery also works in the KMA 130 R Kombi head – Powering up to 13 separate tools with one STIHL powerhead. Many, many, many articles are written just to get you to buy something from Amazon. The writer probably has no expertise or experience using the mowers they recommend. Be very careful of the “top 10” or “Best” lists. 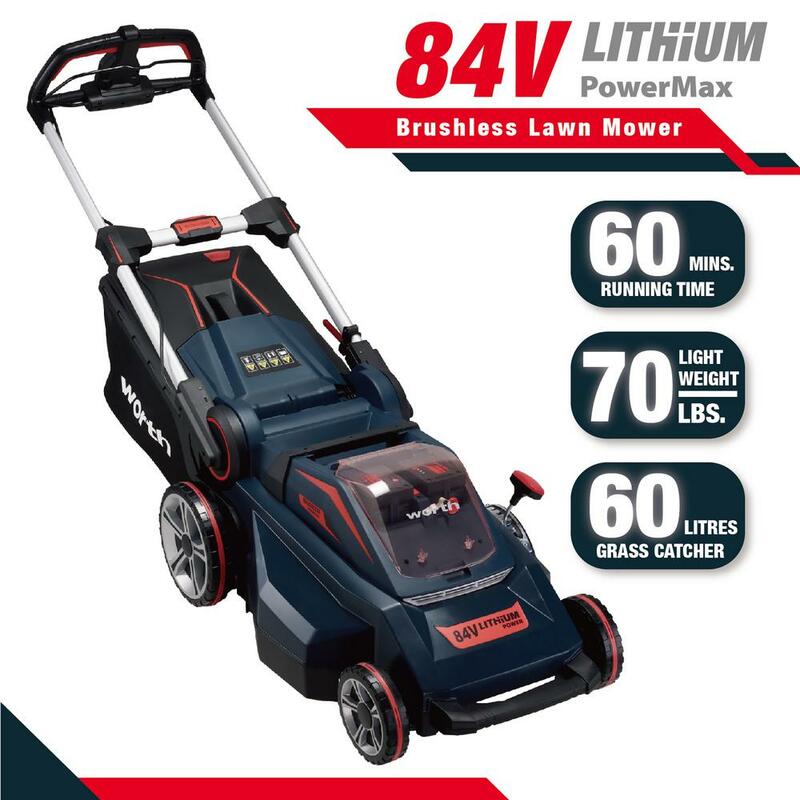 If you just need a push mower to clean up after your riding mower it’s usually a good choice to buy one that uses the same batteries as your cordless power tools. 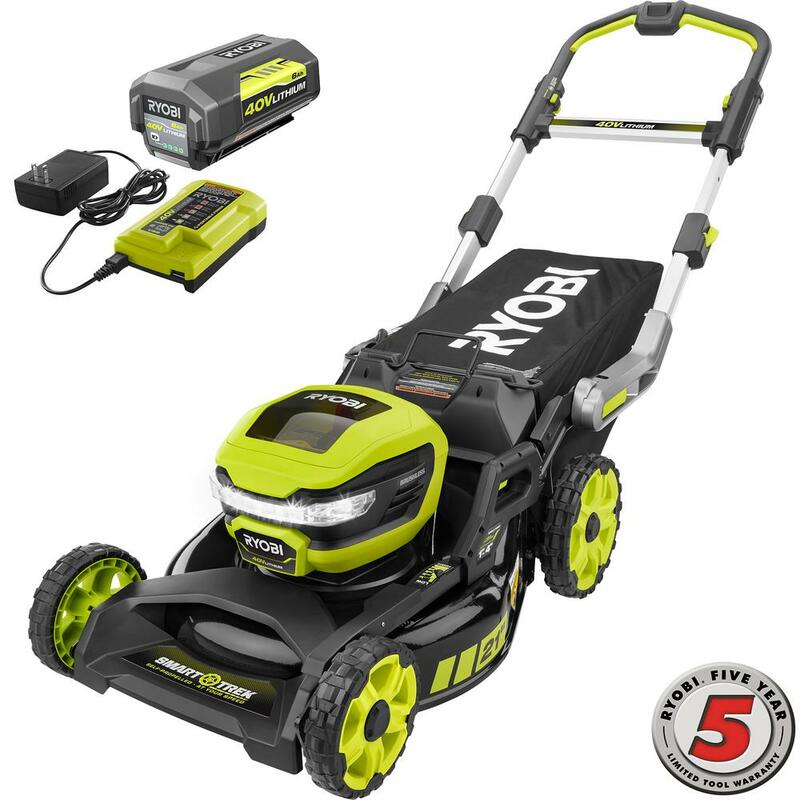 For example, two 5 AH batteries in a DEWALT 20-Volt MAX Li-Ion mower won’t last long enough to mow your 1/4 acre lawn but they have plenty of run time to do the trimming after you mow with your rider. Greenworks has two lines. The 60V (54 working volts) and the 80V (72 working volts) Greenworks focuses on just lawn & garden battery powered products and have been one of the innovators of Lithium-ion power. Scotts – yes the fertilizer company is adding a cordless mower line. I don’t have any experience with it. I can’t use Amazon ratings either because Scotts has decided to include ALL their manual and electric mowers into one review rating. Scotts at Amazon If you buy one let me know how it’s working out for you. 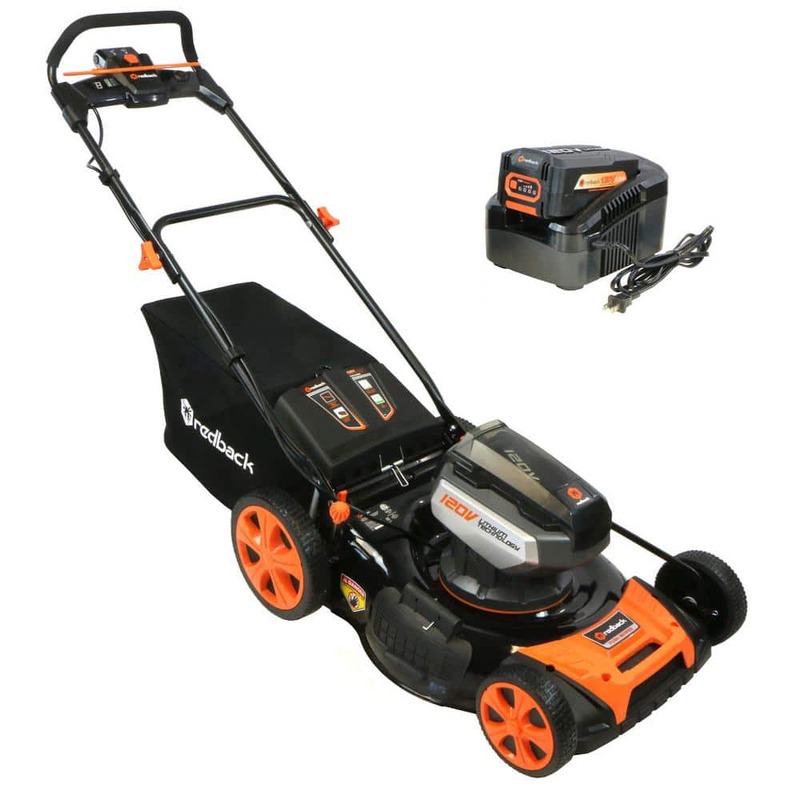 SBD is focusing a lot of energy on building and promoting the new Craftsman name this year and have introduced a V60 line of tools that includes a cordless electric mower. 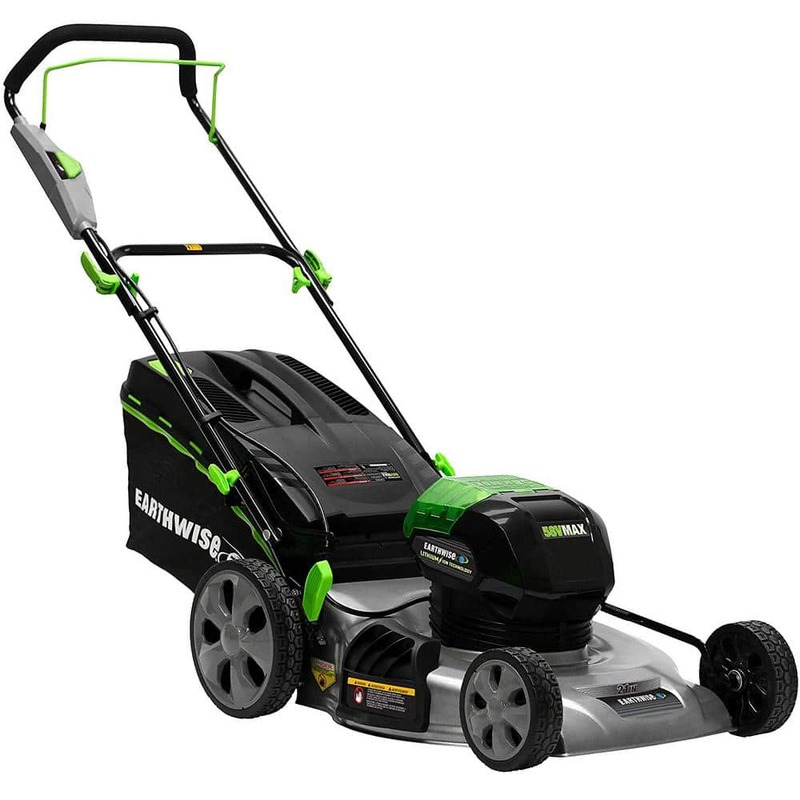 Initial reviews state the mower is “just another average push mower” meaning for the same price you can get one of my top five picks and have a better mower and more tools that use the same battery. They are currently being sold at Lowes and Craftsman at Amazon Store. 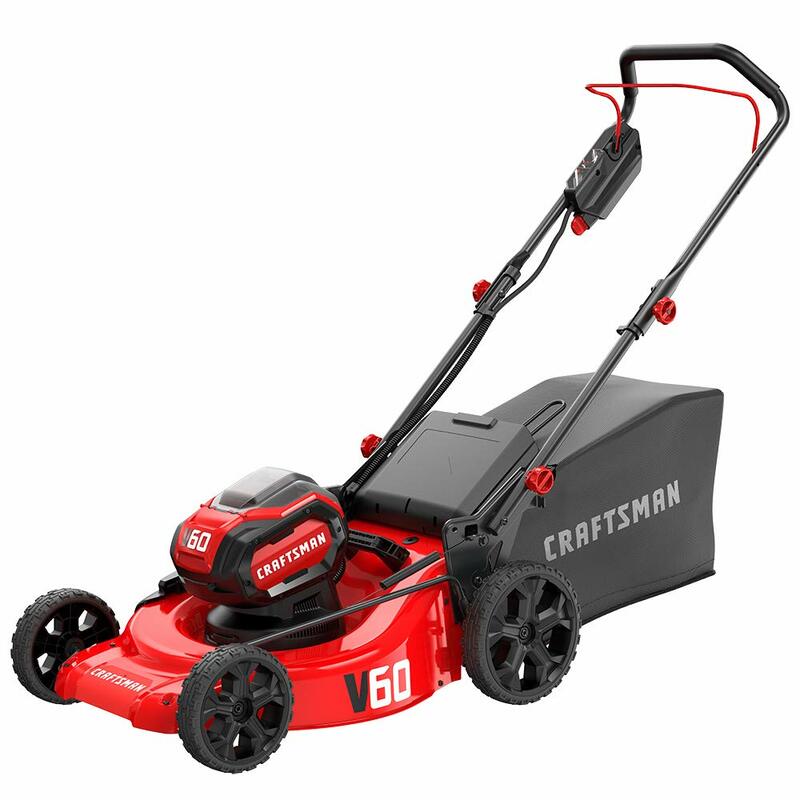 I love the Troy-Bilt CORE line of mowers, trimmers, and blowers but with Lowes dropping the brand and replacing it with the Craftsman Stanley, Black & Decker I can’t find the cordless products listed anywhere for sale. Note: The Home Depot is picking up a few items. Worth Garden is new to the U.S. market. It looks like the company (Shanghai Worth Garden Products Co., Ltd.) is an OEM/ODM global supplier for many of the cordless tools branded and sold by other companies and they decided to market those tools under their own label. Worth 19 inch 84-volt cordless at The Home Depot. As you can see the cordless electric mower space is already crowded but at least we are now getting many quality mowers from the well-known brands we love. Feel free to ask questions or leave remarks in the comment section below. Thanks for reading this far! 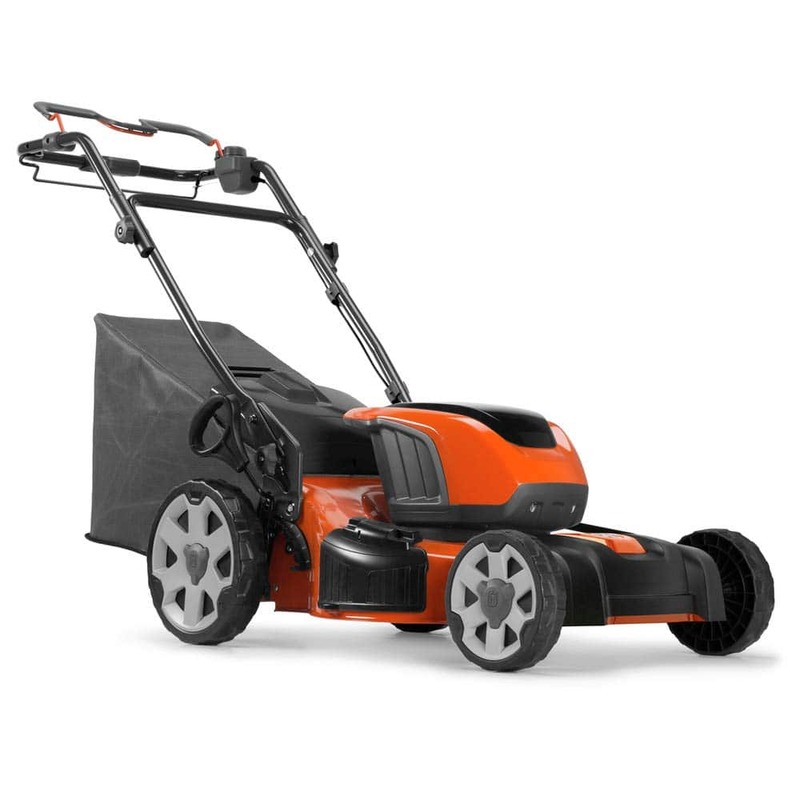 Stand-On Mowers – Is one right for you? Who Makes The Best Lawn Tractor or Zero Turn For You?